Sounds like there’s a bit of a romance plot tucked away amid murder and mayhem, but frankly any 18th century novel sparks my interest. As far as I’m concerned, they’re far and a few between for a century teetering on social unrest, scintillatings scandals, and the last hurrah of the landed English aristocrats. Reminiscent of Austen and Bronte? Sold! Based upon the myriad incarnations of Mr. Darcy (Vampire, Sultan, Leprechaun Slayer) and the endless Jane Eyre movies, you’re curious how underappreciated characters might be reimagined. 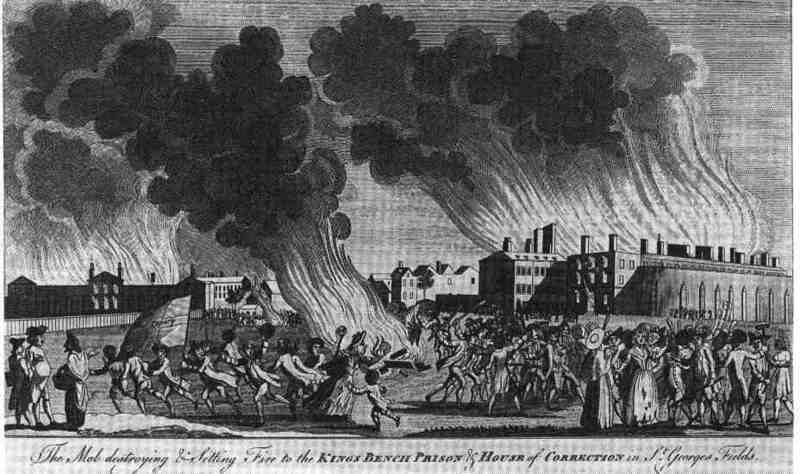 Dickens tackled the Gordon Riots in Barnaby Rudge and you, literary aficionado, want to see how Robertson stacks up. Did you miss the CSI: Georgian England part? You love a strong heroine–Harriet Westerman, the willful mistress. 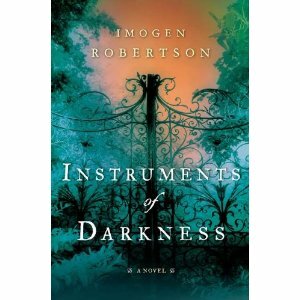 . .
You read Tess Gerritsen or Anne Perry, the cross of which (as suggested) gives us Imogen Robertson. I need your help! I’m thinking of creating of two 18th century reading compendiums for this site, one including novels actually dating from the period and the other compiling historicals occuring during the period. If you have any suggestions, please leave them in the comments and I will thank you ever so much. In which pastiche was Darcy incarnated as a Sultan? To my knowledge he hasn’t been a sultan (yet–we’re really only one enterprising writer away from that reality). I believe my comment was meant as sarcasm. I also have no knowledge of him as a leprechaun. A Grim Almanac of Georgian London – it certainly lives up to its title, I know I was co author! Another good read which covers the period 1749-1809 is Memoirs by William Hickey in 3 volumes – it contains a first hand account of the Gordon riots as well as a panorama of the Georgian era in London, the Caribbean and India, told by a genuine rake. Its available in PDF. Let me know if you can’t find it. I have plenty of additional recommendations, contact me if interested. Thanks for the recs, Graham. Your book looks familiar to me. I recall wanting to read it, so onto the TBR it goes! I’ve never heard of William Hickey but I’ve been wanting for some time to compile a reading list re: Caribbean and India in Georgian era. Again, thank you for the recs and the invitation to get more if needed! I really appreciate it.